Home Family Health Pregnancy The List Of Food Triggers a Miscarriage You Should Know !! The List Of Food Triggers a Miscarriage You Should Know !! ChannelMfm - During pregnant, you should not eat carelessly. If you do not know the rules, it would be very dangerous or can lead to miscarriage. While pregnant, your body can more easily experience the food poisoning. Effects appear may also be more severe than usual. Well, so if before pregnancy you're often eating foods that are often associated with a trigger miscarriage and your body is fine, then it may not be applicable when you're pregnant. This fruit contains the enzyme bromelain. The enzyme is suspected can help soften the cervix and trigger contractions. Because of the effect of it, the pineapple is often suspected to be able to trigger you to have a miscarriage. So, it is advisable not to consume pineapple in early pregnancy. If consumed in conditions of immature or young, papaya is not safe for consumption by pregnant women. The reason, the papaya of this type contain latex which may cause your womb is experiencing contractions. The latex may act like prostaglandin and oksitoksin, a hormone produced by the body to support the process of childbirth, namely to strengthen the contractions. However, if the papaya is ripe, this fruit is safe for consumption by pregnant women. Papaya fruit is ripe is a source of fiber as well as folic acid which is good for your body. In addition, you can also get the intake of vitamin C and E from eating this fruit. 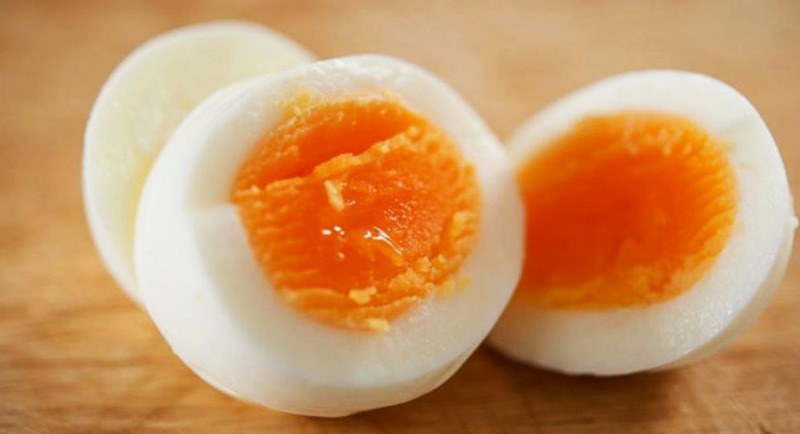 Soft-boiled eggs contain Salmonella, bacteria that can increase the risk of you having a miscarriage. Not only miscarriage, the effect of these bacteria can also harm your life. This also applies to foods that contain raw eggs such as mayonnaise. While pregnant you are advised not to consume raw or half-cooked meat. This is done to reduce the risk of your contaminated by a parasite named Toxoplasma gondii (toxoplasmosis) that exist in the flesh. The condition can cause miscarriage or infant born death (stillbirth). In addition to containing Toxoplasma gondii, raw or half-cooked meat can also be contaminated with Salmonella bacteria. This applies also to meat poultry and seafood. This is a processed meat that is already cut into sheets. Meat is commonly used as a stuffing for a sandwich or if you want to make a hamburger at home. Unfortunately, these foods have been known to contain Listeria, bacteria that can cause miscarriage. These bacteria can enter the placenta and could possibly reach the fetus. If while pregnant you want to eat deli meat, make sure you reheat the meat until cooked. You are strongly advised not to consume the above foods in the first trimester of pregnancy because in this period your body is susceptible to experiencing a miscarriage. to make it more secure, You can consult to the gynecologist about what foods should be avoided while pregnant.